If we don’t understand the full ramifications of the financial matrix, our future is in jeopardy. In my first post on the financial matrix, I went through how it was a system of control, and talked in terms of freedom. But we should understand that even if we don’t care about freedom, it is still important to understand the consequences of this system on our lives, and what we can do about it. I HIGHLY recommend watching the video at the end of this post, as it explains in great detail what we need to understand. What I want to focus on now is WHY we need to understand. Almost 2 years ago I went through the process of becoming a financial security adviser and got my certification. What I learned made me realize the scope of the problem we face. Let me rephrase that; what I DIDN’T learn made me realize the scope of the problem! I think I’ve heard that statement many times over the past couple years, and in many forms. I knew it to be true when I first heard it… but you wouldn’t think I believed it from my actions. Just look at the previous article I wrote, and you will see I was definitely NOT disciplining myself to continue updating this site! Seriously though, I wanted to take this time to talk about this concept, because when it comes to being successful, or even just being free in general, this seems to be one of the most important attributes you need; to be disciplined. I was at Life Leadership’s Masters of Leadership conference in Ottawa this past weekend, and I heard this topic discussed in almost every talk in some form or another. I was in Quebec City a week earlier listening to Claude Hamilton talk about this concept there too, and in greater detail. It was a sign. It’s time to be more disciplined. 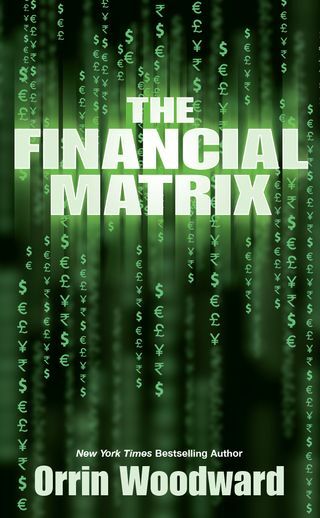 The book ‘The Financial Matrix’ is awesome! The Financial Matrix itself is pretty terrifying. When you understand a bit about history and human nature it should come to no surprise that it exists though. The Matrix from the movie was system of control enslaving the human race without their knowledge. In the same way, the Financial Matrix enslaves people; it hides the enslavement from those trapped in its net like the machine in the movie, but no one is forced into this one. No one is coerced into it. People are brought up into it and enticed into it. Orrin Woodward does a beautiful job explaining the whole concept in one chapter of his book (and in large part on this blog post he did). I encourage you to take a look at the post, along with all the other followup posts he did on the subject. Previously we had discussed the first law of decline; Sturgeon’s Law. This law stated that 90% of everything is crud, and showed how you can’t count on 90% of leaders and politicians to do the right thing without some kind of check in place to stop them. 90 percent of them will undoubtedly fall to the second law of decline; Bastiat’s law. These laws come from Orrin Woodward‘s book ‘Resolved‘ as well as his and Oliver DeMille‘s book ‘LeaderShift‘. 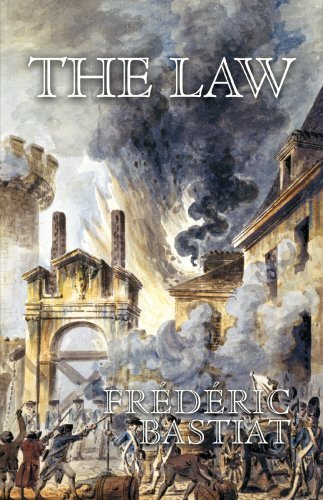 A couple of years ago I read a book by Frederic Bastiat called ‘The Law‘. In this book, Bastiat goes through the concept of having a law; what it is supposed to be used for and what it then actually get’s used for. He shows how laws are supposed to be there to protect a persons property, and thus people themselves, but end up getting used to steal or harm people’s property. Man can live and satisfy his wants only by ceaseless labor; by the ceaseless application of his faculties to natural resources. This process is the origin of property. But it is also true that a man may live and satisfy his wants by seizing and consuming the products of the labor of others. This process is the origin of plunder. Now since man is naturally inclined to avoid pain—and since labor is pain in itself—it follows that men will resort to plunder whenever plunder is easier than work. History shows this quite clearly. And under these conditions, neither religion nor morality can stop it. When, then, does plunder stop? It stops when it becomes more painful and more dangerous than labor. It is evident, then, that the proper purpose of law is to use the power of its collective force to stop this fatal tendency to plunder instead of to work. In ‘Resolved: 13 Resolutions for Life‘, Orrin Woodward first introduced us to his five laws of decline; showing how if we are not aware of them, our life, our organisation, and our country, will suffer the consequences. In ‘Leadershift: A Call for Americans to Finally Stand Up and Lead‘, Orrin and Oliver DeMille go through these laws more in relation to a country. Although these laws apply to everything, and all business leaders should be aware of them for their companies sake, it’s in relation to our nation they really hit home. You may not mind if a company goes under because of these laws, but you will certainly mind if the country does. As not everyone will go out and get those books, we will go through some of the key concepts; let’s ensure as many people becomes aware of them as we can. For some of these laws, left on their own, things might not be too bad, even if it’s still a problem. The real issues come when all of these laws are left unchecked; which is often the case since one usually leads to another. Today we will take a look at the first law of decline. 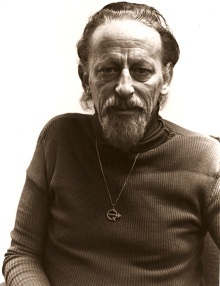 Theodore Sturgeon was a science fiction writer who defended his genre when it was being criticized for being full of crud; that it didn’t keep up with the times and new technology. Sturgeon’s reply was to point out that 90 percent of it was indeed crud… just as it is in everything. 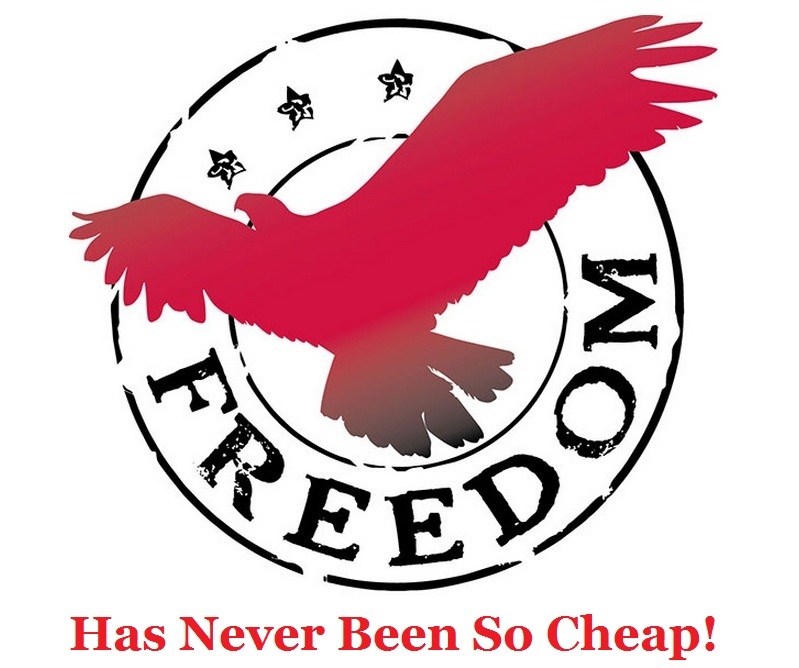 Ever since I started on the LIFE subscriptions, I always looked forward to the next talk I would get on the subject of freedom or economics. I have always considered freedom to be one of my core principles, but at the same time I used to be a socialist; I had the wrong information on how the world worked. I had the wrong information on what was right. I thought the socialists ideas helped the poor, helped those in need, while stopping the rich from trampling all over the poor; did I ever have that backwards! Through many of the teachings on leadership, economics, and freedom from the founders of LIFE, and their subscriptions, I have come to see the error of my ways. I have come to see the value of free enterprise, and how it actually helps more people get jobs. I have seen how it actually gives people an incentive to get out of poverty and provides paths to do so. I have seen how governments and big business’ use new laws and regulations to keep people dependent and in poverty; I’ve seen them use regulations to allow themselves to grow beyond where free enterprise would have allowed, at the expense of hard working citizens.